This product was formulated to help reduce the duration and severity of cold symptoms and was not formulated to be effective for flu or allergies. are taking minocycline, doxycycline, tetracycline or are on Coumadin therapy, zinc treatment may inhibit the absorption of these medicines. Stop use and ask a doctor if symptoms persist beyond 7 days. Children under 12 years of age: Consult a doctor before use. do not take zinc tablets on an empty stomach to avoid possible minor stomach upset. †THIS PRODUCT IS A HOMEOPATHIC REMEDY, AS SUCH, IT HAS NOT UNDERGONE REVIEW OR APPROVAL BY THE FDA AND THEREFORE HAS NOT BEEN DEMONSTRATED TO BE SAFE OR EFFECTIVE TO DIAGNOSE, TREAT, PREVENT, MITIGATE OR CURE ANY CONDITION OR DISEASE. IMPORTANT:Keep this carton for future reference on full labeling. 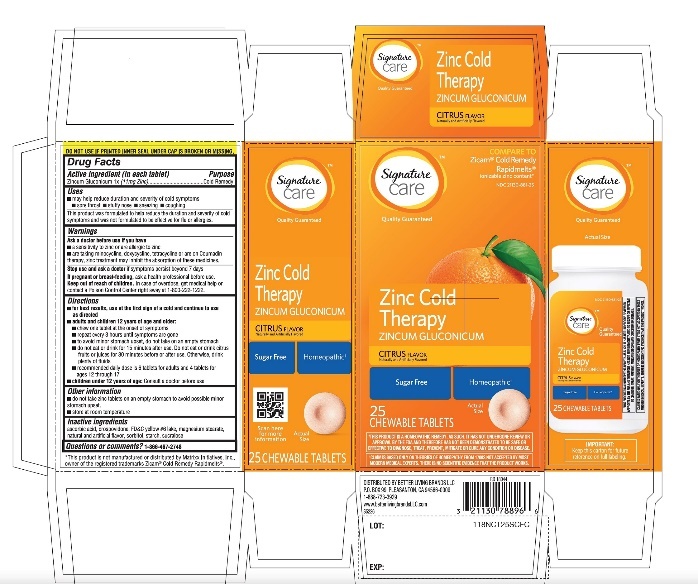 *This product is not manufactured or distributed by Matrixx Initiatives, Inc, owner of the registered trademarks Zicam® Cold Remedy Rapidmelts® .